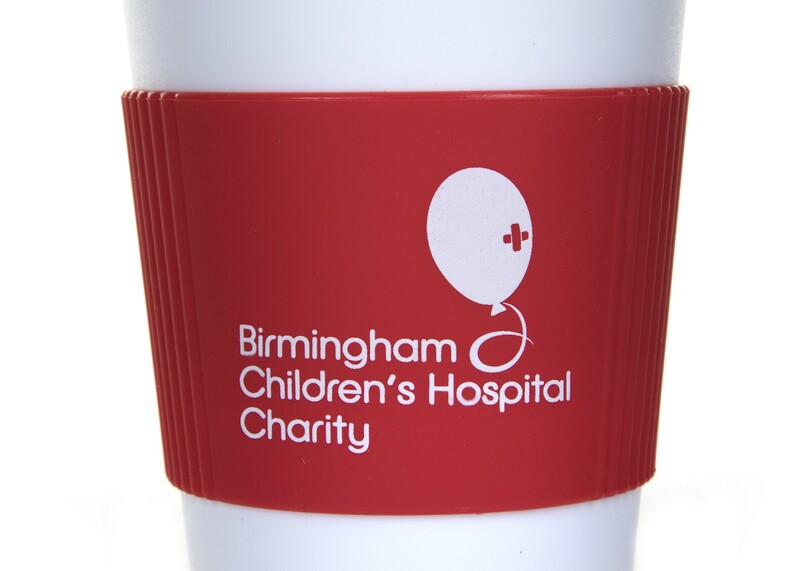 Our new take-away style mug in red and white, with Birmingham Children's Hospital branding, is a double-walled insulated mug made from PP (polypropylene) to keep drinks warm. 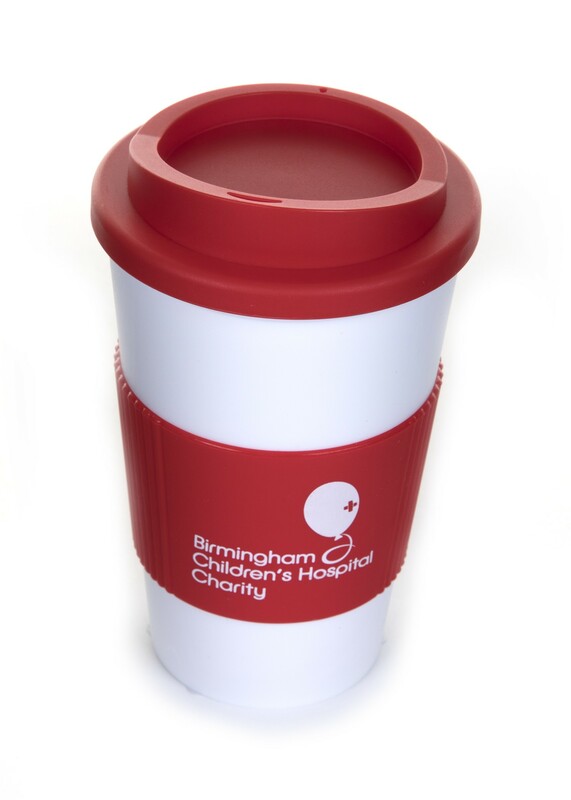 The red rubber grip and screw-top lid securely fixes to the mug to give you the style of a take-out cup with the benefit of a thermal mug. 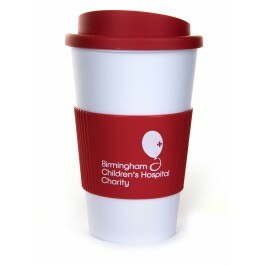 Mug is dishwasher safe, microwave safe and BPA free. 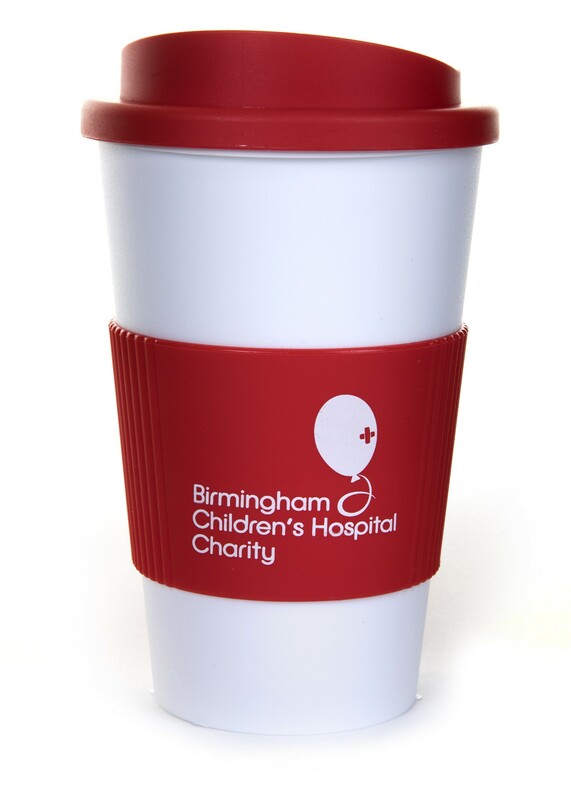 35cl capacity.